“Buy American, Hire American.” These words have directly affected the volatile state of U.S. immigration policy since President Donald Trump signed this executive order on April 18, 2017, leading to a temporary suspension (until February) for the premium processing of H-1B petitions and increasing the number of Requests for Evidence (RFEs) for H-1B petitions. Now, these words are changing the H-1B cap lottery, giving preference to H-1B applicants with a U.S. master’s degree or higher and increasing their chance of being selected in the lottery. Annually, the U.S. offers 85,000 H-1B visas – 65,000 for applicants with a bachelor’s degree or equivalent, and 20,000 for applicants with a master’s degree or higher. 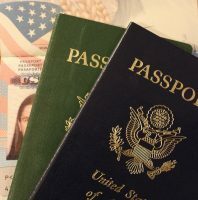 These visas become available on the first business day of April each year, and within a week, the number of applicants is more than double the number of available visas. To manage the overflow of applications, those who receive H-1B visas are chosen through a random lottery. Required electronic registration is another upcoming change to the H-1B lottery program but will not take effect this year. USCIS states that the registration requirement is a way to reduce employer costs and increase government efficiency.